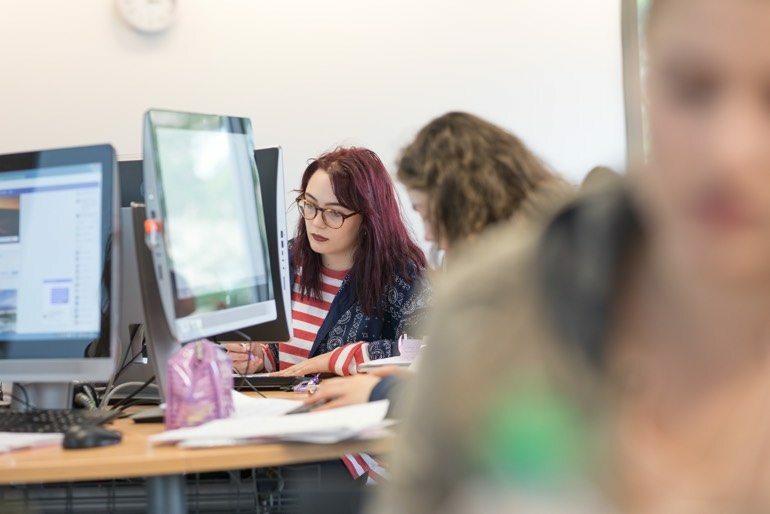 As you may have heard or read about, we are currently restructuring, rebuilding and redesigning the university website. So I’ve been thinking about how we can prepare for this challenge. What have been the common design-related problems on projects in the past? What are the issues affecting design that typically come up in a large project? What can we do to prepare for the significant amount of design work that will be part of this project? How do we present digital content in a consistent, predictable, unique, appealing and measurable manner? How do we design consistently for different channels (email, landing pages, website, apps)? Can we make it easier to make design decisions based on user research? How do we fully assess the impact of our work? How do we work better with the development, content and UX teams? How do we design consistently for a wide range of devices and browsers? How do we ensure we meet accessibility guidelines? How we do stay creative while being consistent and on brand? How do we ‘bring the brand to life’ using animation? In all seriousness, that is a lot of questions and far too much to think about when producing design work every day. It would be overwhelming and creativity-crushing to try to think about these for each design. In fact, it would be enough to send any designer storming out of the office in a flurry of paper, pencils and pretty coffee table books about Apple, cappuccino splashing with wild abandon across once-pristine aluminum peripherals. Not that we’re like that, of course. And, importantly, it should consistently be all those things. Lack of consistency over time is the biggest challenge we face. It affects our productivity and, more importantly, it affects the user experience. We can solve our consistency conundrum by putting a structure in place for delivering quality work. We are currently creating a system for defining and managing how we build, design, measure and improve the digital user experience. We are creating a design system. We called it BRGR, which stands for Build Right, Get Results. BRGR (pronounced ‘bur-ger’). The concept is individual layers working together coherently with the aim of delivering an enjoyable and memorable experience that satisfies a certain hunger. Much like a burger. Yum. 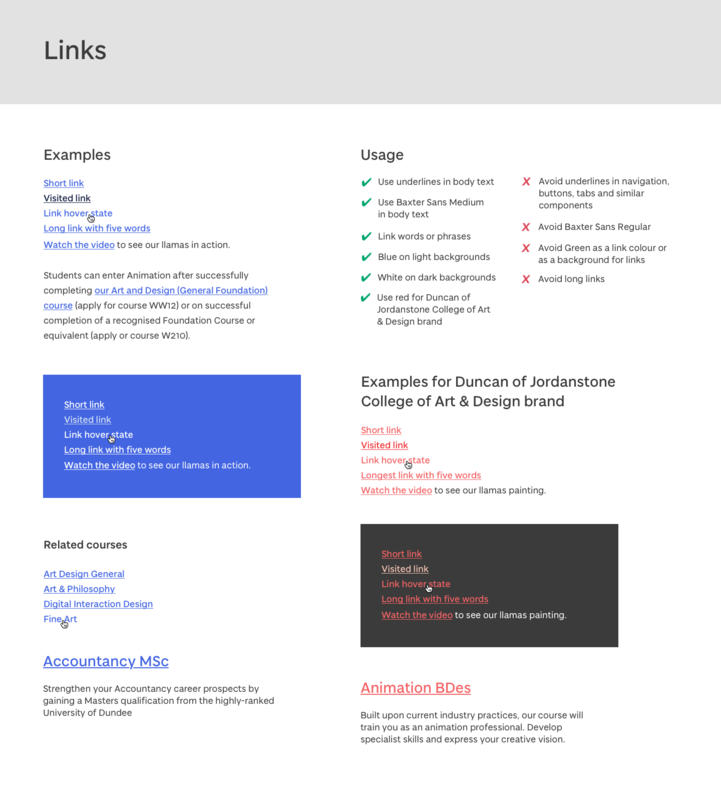 A design system unites people and teams around a common visual language. It defines the approach to design work. It provides patterns of design elements that can be reused and improved in a controlled way. It makes design decisions easier. It structures creativity. It promotes long-term consistency. It gives you instant relief from your tickly, irritating cough. Okay, so, not that last one (if only there was such a thing). The origin of the design system is in the 1960s. Before websites and the iPhone. Back then, computer technology began outpacing the speed of software programming. Computers became faster and cheaper, but software development remained slow, difficult to maintain, and prone to errors. This gap and the dilemma of what to do about it became known as the “software crisis.” A system of reusable components helped to solve the crisis. 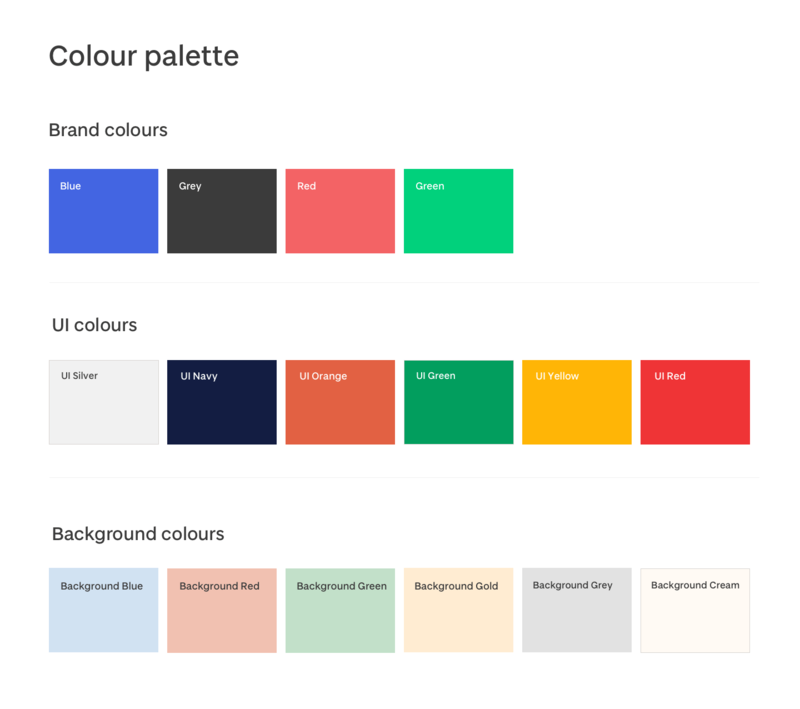 Design systems are used by large corporations and organisations around the world, including Google, IBM, Salesforce, UK Government, Shopify, NHS, University of Melbourne, and countless more. 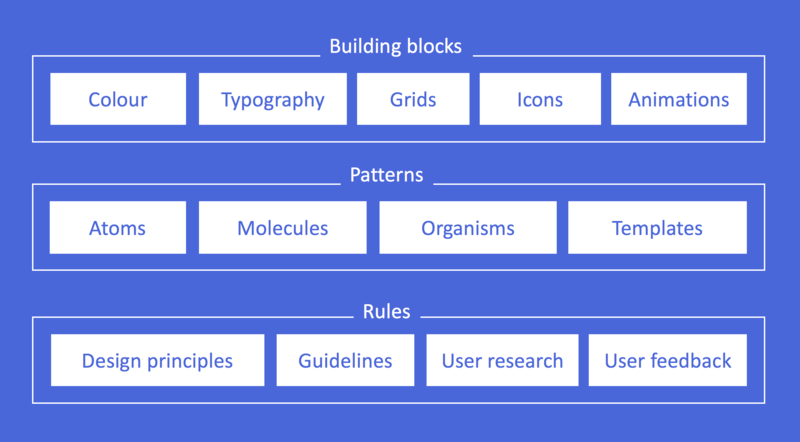 What is in our design system? What are the benefits of the design system? The system will help us deliver consistent digital designs across web, email, landing pages, and digital ads. Ultimately, this will lead to a more enjoyable and consistent experience for our visitors. And this is the primary motivation for our design system. We have completed our work on the building blocks of the system (colours, typography, grid, etc). These may be adjusted again in the future test our ideas with real visitors on the early versions of the new University website. A good design system is a living and evolving thing that is constantly maintained over time to adjust to the needs and input of its users. And that’s what we’re aiming for. 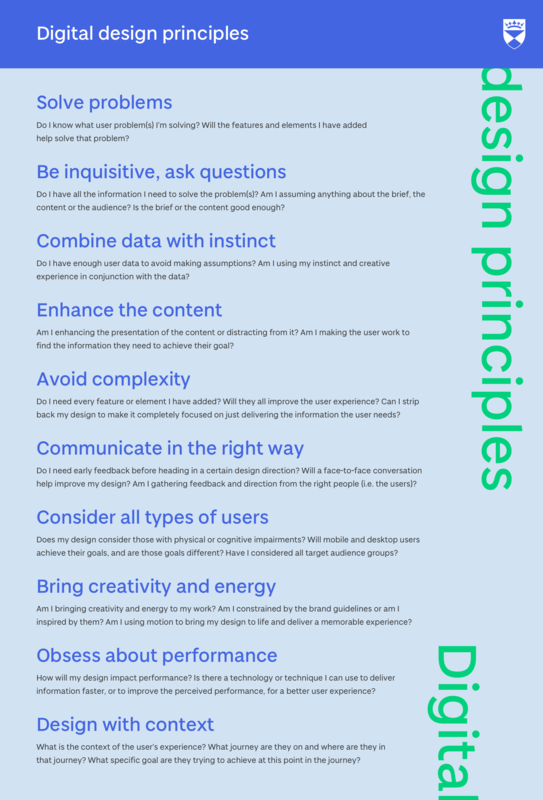 Our design principles are practical values we can work to every day to help us make consistently good design decisions. They help us to put the emphasis completely on the goals of the user when we design. 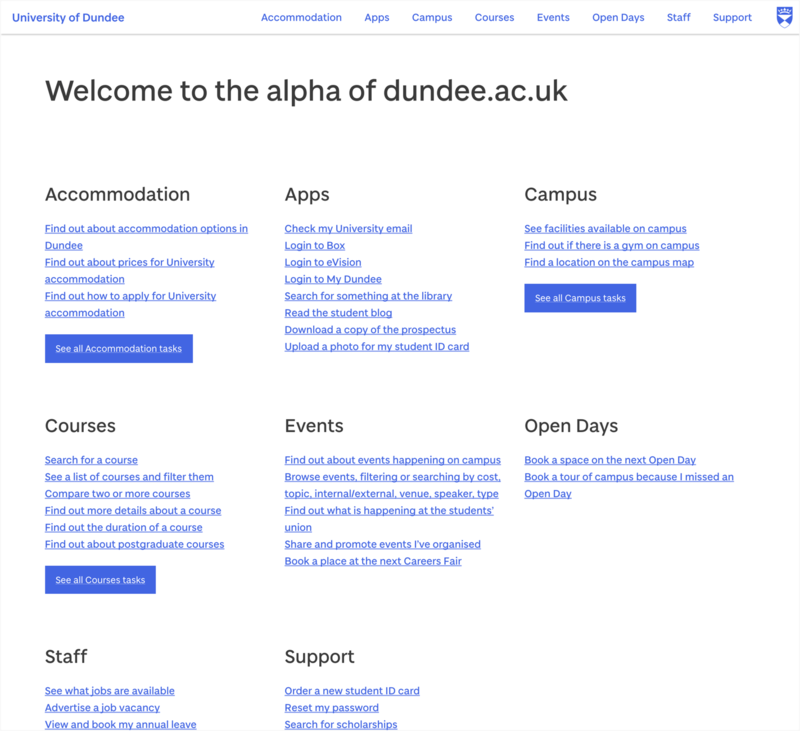 What role does this system play on the new University website? We are now starting to roll out gradual design enhancements to the ‘alpha’ version of the website. This is a very early release of what will eventually develop into the new University website as more content and features are added. We are using the alpha website to identify and design common patterns, which is the next stage of our work on the system. Anything that appears regularly throughout the content across the site can be considered a pattern. For example, bulleted lists, navigation menus, headings, buttons and so on. 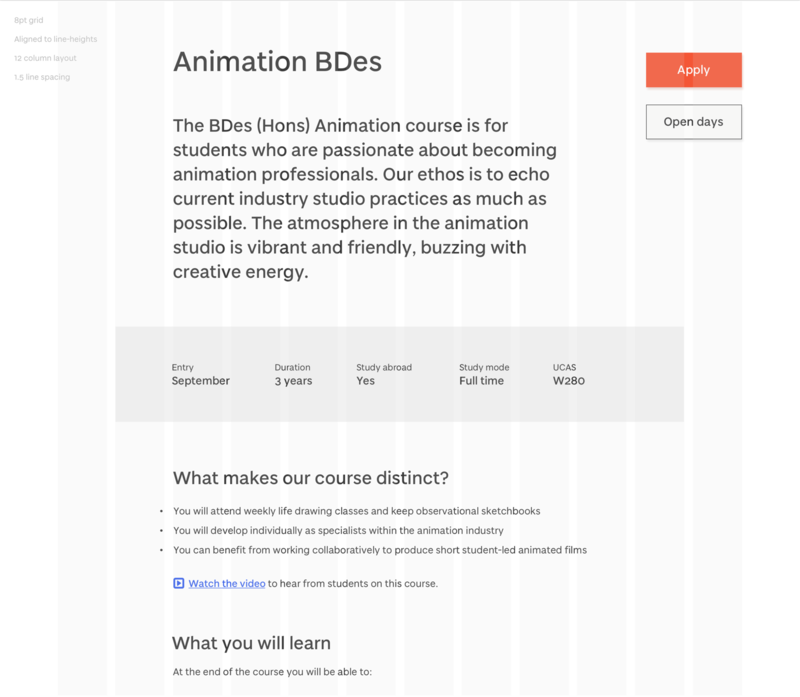 We take each of these and begin to experiment with their design, aiming to create something that works best for our audience and can be used across everything digital. These patterns will be tested, documented, shared and reused as part of the design system. The end result should be consistent, effective, unique and user-friendly designs for every visitor.